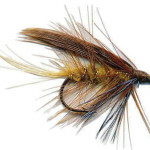 Already a Fly Fisherman or looking to take up Fly Fishing? Then maybe Invicta fly Fishing Club would be of interest to you. During the season we organize frequent fishing trips to a variety of local and national stillwater and occasionally river venues. These are both social and ‘not-so –serious’ competitive days but we do also enter teams for national competitions. Our membership includes a wide area of expertise from novice to National Coach level. You would be sure of a warm welcome, no-one is sidelined, and novice anglers would be paired with experienced members on fishing trips if required. All this for less than the price of a day-ticket so why not give us a try? Our Membership Secretary, would be pleased to answer any questions you may have. His contact details can be found under ‘Membership/Contacts’.